DIY replacement faceplate for the Spectral Multiband Resonator. Black background with white artwork. No soldering required. Includes replacement light pipes. 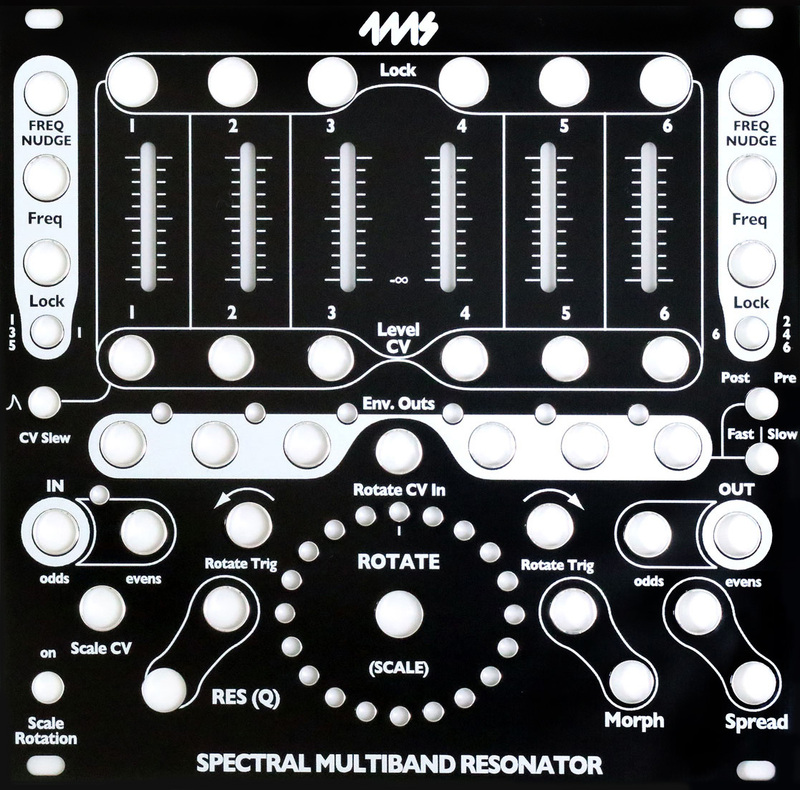 Please note: This black panel is available for the Spectral Multiband Resonator only as a DIY project. Basic socket wrenches are required. You must insert new light pipes into the replacement panel. See the How To guide for instructions. Satin black with white artwork. FR4, 1.6mm (0.063in) thickness. Conductive bottom side for shielding.